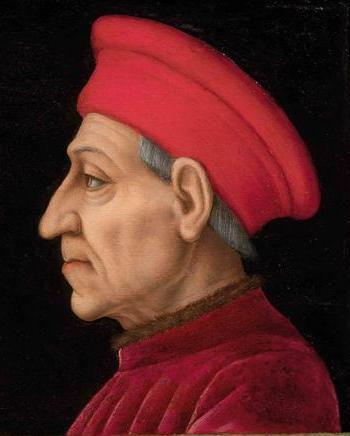 Piero di Cosimo (the Gouty) de Medici (1416-1469) was the son o Cosimo de’ Medici. 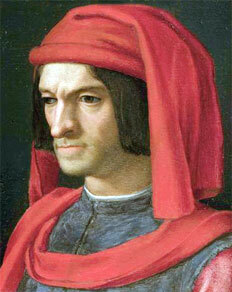 Raised in early humanist Florence, he was trained to assume his father’s civic and cultural leadership. 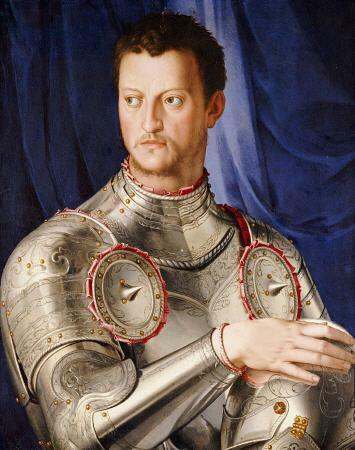 His artistic tastes were apparently stimulated less by the aesthetic ideals of Republican Florence, however, than by those manifested in such north Italian centers of patronage as Ferrara and Venice, where the Medici lived in exile between 1433 and 1434. 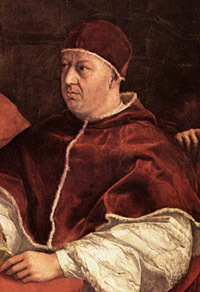 Piero watched over family interests at the Council of Ferrara (1437–1439) and responded positively to the style of Este court patronage, which he may have sought to emulate (with the wealth of the Medici bank behind him) in the decorations he commissioned for the new Palazzo Medici in Florence. 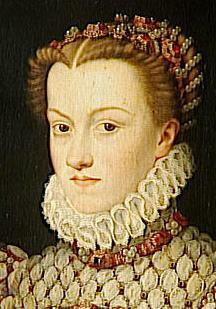 His aesthetic preferences may be deduced from such commissions, which contrast with the large-scale ecclesiastical projects that his father sponsored: typically they show precise, often minute detailing (as in a bust of Piero by Mino da Fiesole), brilliant and resonating color and rich surface finish. 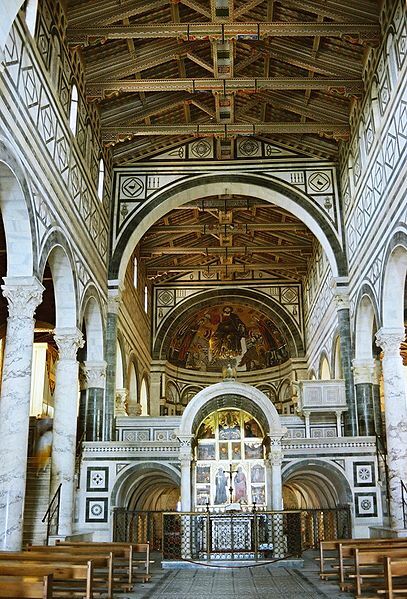 The best-documented works commissioned by Piero are two small, precious tabernacles built to the designs of Michelozzoa di Bartolomeo to house miracle-working images: the chapel of the Crucifixion, San Miniato al Monte, Florence, and the chapel of the Annunciation, SS Annunziata in Florence. In both, high-quality architectural sculpture was carved with intricate richness and variety of detail in the finest marble. Piero’s preoccupation with heraldry is evident in the inclusion of his personal device (a falcon holding a diamond ring) on the San Miniato tabernacle and in the glazed terracotta tiles in the white, green and mauve of his livery that Luca della Robbia provided for its roof. The barrel vault of Piero’s study in the Palazzo Medici, probably completed by 1456, was also decorated by Luca della Robbia: the 12 enameled terracotta roundels, the Labours of the Months were set once more against the background of Piero’s livery colours. The architect Filarete wrote of this vault that ‘it causes greatest admiration in anyone who enters’; early records also emphasize the richness of the study’s glazed terracotta floor and of the elaborate intarsia work on the furnishings. The superbly produced books that lined the shelves had bindings colored according to subject classification: red for books on history, for example, and green for rhetoric. 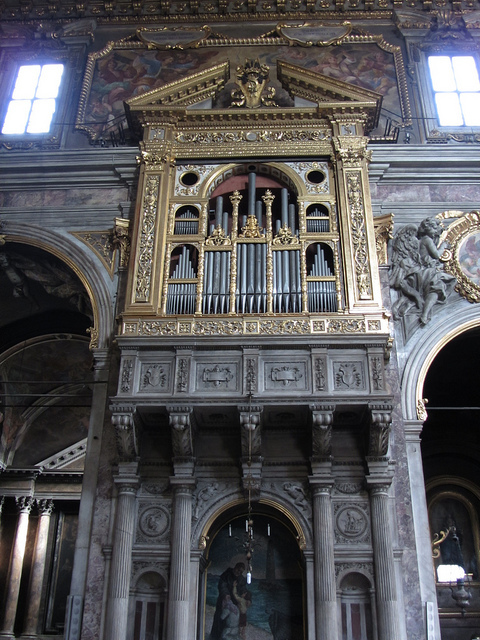 Filarete described how Piero, crippled by gout, was carried into his study to feast his eyes on his books or to rejoice in his collections of Classical gems, coins and other small, highly valued objects. The two inventories of Piero’s possessions, drawn up in 1456–1458 and after Cosimo de’ Medici’s death in 1464, list numerous domestic furnishings, now lost or unidentifiable, including French or Flemish tapestries, silverware, jewelry, tournament apparel and weapons, musical instruments and also the treasures that Piero kept in his study. Among the wide-ranging and valuable collection of Classical gems and cameos was the Daedalus and Icarus, which provided the source for one of the medallions decorating the courtyard of the Medici palace. 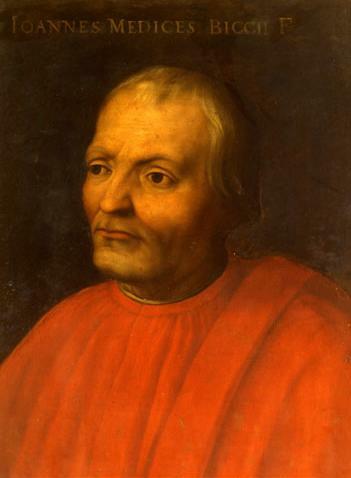 The closely written listings of books show the importance of Piero’s manuscript commissions, often placed through the agency of the major cartolaio and biographer of Quattrocento Florence, Vespasiano da Bisticci. The descriptions indicate special concern for the binding of each manuscript and for the type of script in which it was written. Most of the books commissioned by Piero survive in the Biblioteca Medicea–Laurenziana, Florence, and the quality of their production and illuminated decoration warrants the high values recorded in the inventories. His patronage stimulated the development of a new type of green-tendril border decoration, evident, for example, in the two-volume Plutarch, which from the early 1460s dominated Florentine manuscript illumination for the rest of the 15th century. 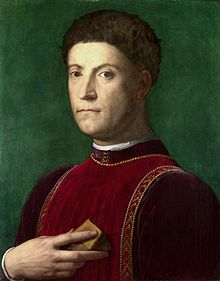 Letters written by Benozzo Gozzoli indicate that Piero was also responsible for the decoration of the chapel of the Palazzo Medici, probably completed around 1461. Michelozzo’s architectural articulation of this small space is again rich in decorative detail and color, and the floor and intarsiated seating are emblazoned with Medici heraldic devices. 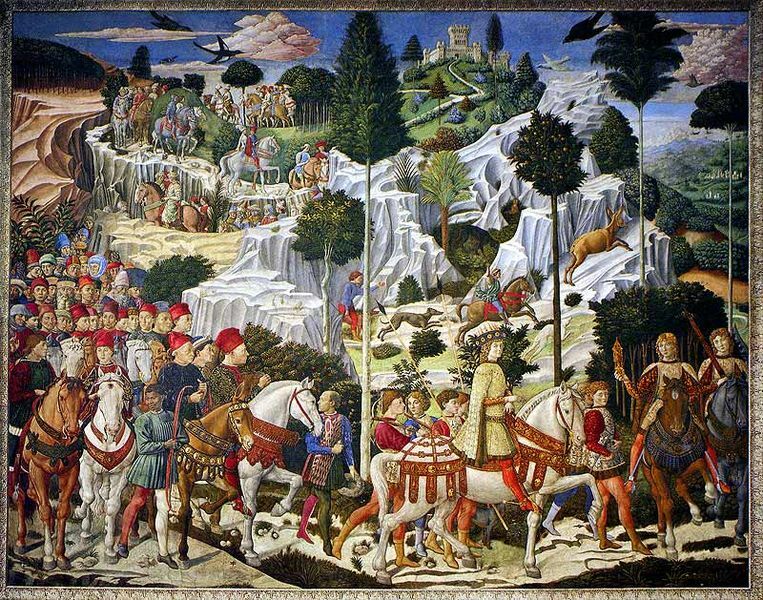 Gozzoli’s Journey of the Magifrescoes convincingly blend finely executed surface details (highly individualized portraits and figure-types, splendid costumes and pattern-book bird and animal motifs) with deep recession into beautifully observed, atmospheric landscape vistas. The goal of the Magi’s journey, Fra Filippo Lippi’s Adoration of the Magi altarpiece, shows similar aesthetic emphases. Jewel-like colors, brilliant refinement of surface finish—noticeable in the spray of golden dots that link together the persons of the Trinity—and a delicate, expressive sentiment are brought together in this exquisite altarpiece which perhaps quintessentially reflects Piero’s artistic sensibilities.